Before you dive in, we highly recommend taking a guided video tour of Re:amaze. You can find our video tutorial series here: https://reamaze.reamaze.com/kb/video-tutorial-series. The video tutorial will cover some topics not found in the getting started guide so we want to make sure you can easily refer to them. Integrate your social media channels such as Facebook, Messenger, Twitter, and Instagram! See this tutorial here: https://reamaze.reamaze.com/kb/getting-started/step-3-connecting-social-media-channels. 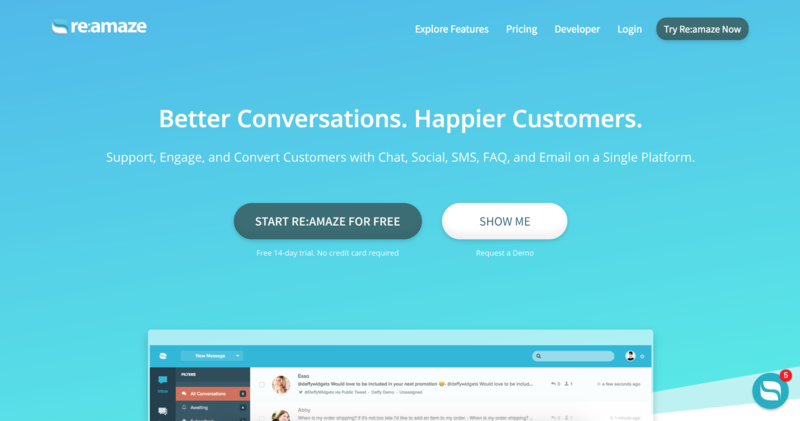 Invite your teammates to join Re:amaze so all of you can work out of the shared inbox and help customers. Build your FAQ and knowledge base help center so customers can help themselves when you're not available. Good luck and feel free to reach out to us with any questions!